Tickets on Sale Friday April 5th at 10am! 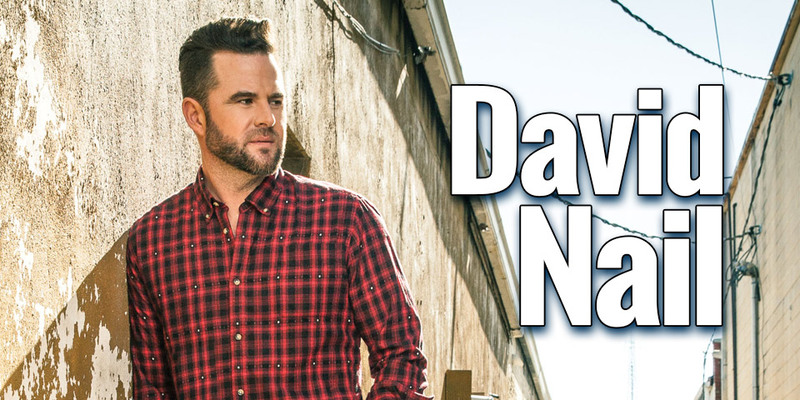 The Molson Canadian Centre Presents: David Nail! A chart-topping songwriter and Grammy-nominated frontman, David Nail has spent a decade leaving his unique mark on modern country music. He reaches a new creative peak with 2018’s Only This and Nothing More, a record that matches his longtime melodic chops — as heard on Number One hits like “Whatever She’s Got” and “Let It Rain” — with atmospheric rock & roll guitars, lush keyboards, drum loops, and rule-breaking arrangements. This is the sound of David Nail turning a new page, kicking off the newest chapter in a book that continues to unfold. It’s also the most collaborative album of his career. Billed not as a solo album, but as a project by David Nail and the Well Ravens, Only This and Nothing More finds its frontman leaving behind the familiar comfort of his longtime record label and, instead, uncovering new ground with help from two longtime partners. Those collaborators are multi-instrumentalist Andrew Petroff and producer Jason Hall. Years before the three musicians teamed up to create Only This and Nothing More, they toured the country together as road warriors, with Petroff playing bass in Nail’s band and Hall serving as the group’s monitor engineer. It was a bonding experience, filled with sold-out shows, bus rides from town to town, and creative sparks. The sparks fly once again with Only This and Nothing More, whose songs straddle the boundary between country storytelling, indie rock instrumentation, pop hooks, and the southern twang of Nail’s voice. Gradually, a distinctive sound took shape. Inspired not only by his country roots, but also the guitar-heavy stomp of Oasis, the reverb-heavy wash of Ryan Adams, the rhythmic punch of the Black Keys, and the anthemic swell of Kings of Leon, Nail and the Well Ravens co-wrote a collection of songs that placed a contemporary spin on older sounds. Over the course of three different recording sessions, they both created and captured tracks like “Cheatin’ on Me” (a waltzing ballad that’s retro and modern, like a digital remix of a 1950s sock-hop hit), “Over” (a gritty nod to the British Invasion bands of the 1990s), “Heavy” (which updates the sounds of ’80s pop/rock for the current decade), and “The Gun” (the album’s most haunting number, rooted in a fictional story about family violence). Fueled by adrenaline and coffee, all three collaborators shared the workload equally, with Andrew Petroff handling much of the instrumental duties — including the electric guitar, whose spacey textures helped inspire the album’s overall tone, as well as bass, drums, synthesizers, and digital loops — and Nail providing the lyrical and melodic ideas. Most importantly, he’s an artist following his muse, making music without rules or regulations. David Nail and the Well Ravens spread their wings with Only This and Nothing More, and the result — with its soundscapes, digital elements, guitar fuzz, and lush wall of sound — is the soundtrack to Nail taking flight.